Payment Plus is an additional, optional accounts payable solution to pay vendors who do business with state agencies with automated Visa card payments. Vendors interested in joining the program must download and submit the Payment Plus enrollment form to the Division of Finance. The form is a PDF file, which requires downloading and using the Acrobat Reader. The Division of Finance has authorized U.S. Bank, which works with Visa, to contact suppliers and inform them about this program. Why does the State offer the Payment Plus program? Through the Payment Plus program, the State seeks to improve process efficiency and working capital management, as well as reduce the cost of processing paper checks. This program also supports the State’s green initiative by reducing the use of paper. Vendors benefit from this payment option as well because Visa payments provide consistent, predictable payments and allow for streamlined processes. How do vendors benefit from this program? Working Capital Management: By eliminating delays associated with a paper-based process, participating suppliers may receive payments sooner than if they were issued via check. Process Efficiency: Suppliers can reduce internal processing and transaction costs by eliminating paper-based processes, including check processing and associated reconciliation efforts. Can vendors receive payments also by automate clearing house (ACH)? While the State’s goal is to expand the Payment Plus program as much as possible, automated clearing house (ACH) payments are also available. Vendors that are interested in this payment option may send an email to FI_Disbursements@utah.gov to request a form for providing the Division of Finance with their bank and other applicable information. Are there fees associated with receiving Visa card payments? Standard processing fees administered by a supplier’s merchant acquiring bank will apply. Vendors are encouraged to review their merchant account agreements with their banks and discuss ways to achieve the most favorable rates. Additional programs may also be available to help reduce fees based on the transaction size, level of data provided, and frequency of transactions processed. Is Payment Plus a required payment method? While the Payment Plus program offers many benefits to the State and suppliers it is NOT a required required payment method. The State offers other additional payment methods, such as ACH, as well. Does Visa card payment change the State's current purchasing and payment processes? No. While the Payment Plus process allows both suppliers and the State to streamline operations, current processes for orders and invoices remain the same. The only change is to the payment process. With the Payment Plus payment process, suppliers receive an email notification for each payment, instructing them how to obtain the card account, the amount to process using their POS device/software, and other pertinent details of the transaction. What is the CVV2 value? 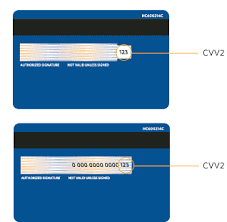 The CVV2 value is the 3-digit security code on the back of a Visa card. This security code provides proof that the credit card number is in the hands of someone authorized to use it when the customer is not present during the transaction. Many merchants require the CVV2 code because they are charged lower processing fees when it is provided. What is the process for being paid by the Payment Plus program? The vendor will receive an automated email notification for each payment. These emails will contain a link to a secure web portal where the vendor will obtain the unique Visa credit card account number, the amount to charge, and the other pertinent details of the transaction needed to process and reconcile the payments. The credit card account number will change with each payment, so vendors will not be required to keep this information on file. Vendors must include the appropriate invoice number and/or purchase order number when processing the transaction. How does a vendor join the Payment Plus program? Vendors who currently accept credit card payments may join the Payment Plus program by completing the Payment Plus program enrollment form. The form is a PDF file, which requires downloading and using the Acrobat Reader. Vendors will then be provided with instructions on how to obtain the Visa Commercial Card account number to use for payment. In the future, the vendor will receive an email notification indicating the amount to charge and the remittance details for each payment. Vendors that are not currently set up with a merchant account, should contact their corporate banking service provider, or they may contact the State’s credit card service provider, Elavon, to arrange for basic Visa Card acceptance. Elavon is a bank card acquirer, which specializes in business-to-business transaction processing. Vendors can reach an Elavon account manager toll free at 800.707.6122. Once this step is completed, vendors should contact the State of Utah Enrollment Team via email at Utah@emailserviceteam.com or call 877.498.1316 to complete the remaining steps as noted above. This email address and phone number go to Visa representatives whom the State has contracted to contact and inform our suppliers about this program. For enrollment support or questions about the Payment Plus program, vendors may contact Utah@emailserviceteam.com or call 877.498.1316. This email address and phone number go to Visa representatives whom the State has contracted to contact suppliers and inform them about this program.